Prepare yourself for the rip snortin’ tenor saxophone of Tubby Hayes. This Thursday jazz show will be wall-to-wall Tubby Hayes as selected by our guest, the jazz scholar John Breckow. Let me tell you about John Breckow. In Los Angeles he is legendary in the world of radio, having hosted a jazz show on KPFK for 26 years. We spent a lot of time together in the 70s trooping around L.A. in my Volks hitting the jazz clubs — afterwards grabbing a sack of fried chicken from the immortal Bill’s Chicken in Pasadena and staying up late into the night listening to John’s record collection. John spent the first 60 years of his life in Los Angeles and has now relocated to the village of Corrales, New Mexico. Who is Tubby Hayes? We American jazz listeners aren’t exactly myopic, it’s just that becoming an informed jazz listener takes so many years merely to absorb the basics of the home team that the European jazz scene is years down the road before you’re ready to hear what’s been going on over there. And in some regards the Europeans have gone on without us and surpassed American jazz, certainly when it comes to the avant garde, and also in regards to reaching an audience. The clarinetist John Carter said to me after his first visit to Europe that he realized that not everything important in jazz was happening in the land between Canada and Mexico. It’s not that we haven’t heard the name Tubby Hayes or heard a little something of his in passing. Speaking for myself, I’ve only recently bent my ear in his direction in a serious way and that is because of our guest today. The next words you’ll read are from John Breckow. 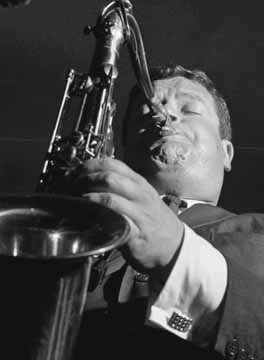 2013 marks the 40th anniversary of the passing of the Crown Prince of British Jazz, Tubby Hayes. His death in 1973, at 38, sadly ended an impressive run that began in the early 50’s (“When I was 15 I left school and went to being a professional musician”) and stormed forth with a tumultuous tenacity filling an exhaustive discography with commercial recordings, transcriptions, live recordings, film appearances, and his constant presence on both BBC radio and TV. His passionate, athletic tenor saxophone excursions mirrored his influence of Charlie Parker (“I think he was the greatest saxophone player ever”) and fellow tenors Getz, Trane, and Mobley. He shared his moniker with Johnny Griffin, as he was known as the “Little Giant” of Brit Jazz. Everything he touched turned to magic on his tenor saxophone, his solos were long caravans of chorus after chorus of uptempo adventures that cemented his reputation. His flute work matched the best. He adopted the vibraphone after Victor Feldman sought his musical fortunes in America and sold Tubbs his set. The next week he was on stage with the vibes, a savant on these pipes, he glowed with an inner warmth adding another dimension to his already formidable talents. Include in those composing, arranging and an insatiable appetite for jazz improvisation, he became the feared legend of U.K. Jazz, as tales of his virtuosity spread to the States. Although he barely touched U.S. soil he stood foot to foot with the masters of our jazz and wore them down into a heap, and so the legend goes, and so went his explosive lifestyle, and it was all the stuff jazz dreams are made of. Tubby Hayes was one of the greatest tenor players/flutists/jazz musicians ever. And John Brekow’s shows were consistently interesting, informative, fun. Tubby and John: two very creative people.
. . . on the telephone with Bobby Bradford a couple nights ago we got to reminiscing about the legendary Bill’s Chicken — how exuberant and friendly Bill was, an elderly Black cat who just loved you when you came in the door and filled up your sack with fried chicken and then topped the bag off with about ten slices of that white bread (probably that gawdawful Weber’s Bread!) — Bill’s Chicken was on Washington in Pasadena just west of Lake — BB says that after Bill died his wife ran the place for awhile, then it moved around the corner onto Lake and it looks like a Mex joint now —- BB said he’d swing by Bill’s on the way home and grab a sack, take it home, cook up some rice and steam some asparagus and cauliflower and dinner was served! I listened to John Breckow’s show on KPFK for years, “Smoke Rings,” and it was John’s show where I first came into contact with the music of Tubby Hayes. 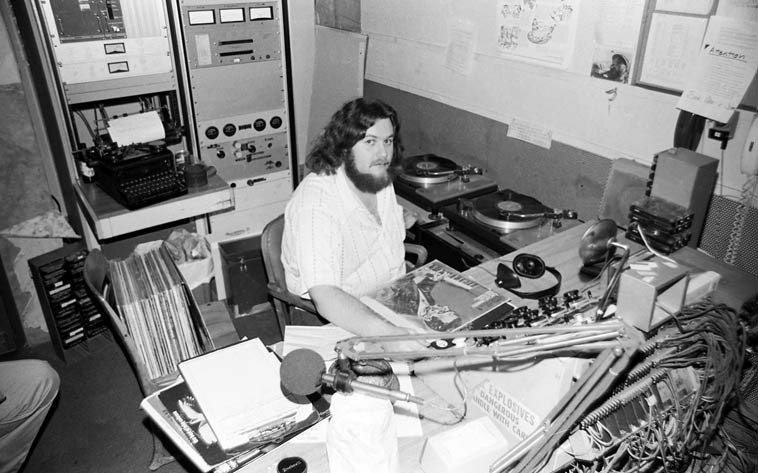 John’s radio show was classic L.A. radio, and it’s greatly missed. “Smoke Rings” went late into the night, and when it was time to get some sleep, I put in a cassette tape to keep recording and catch it all. I would listen to those tapes as I commuted through the L.A. freeways, digging it all. I absorbed a tremendous amount of music, thanks to John’s show, and the Brand Library (Glendale, CA). Thanks for the update on Breckow.